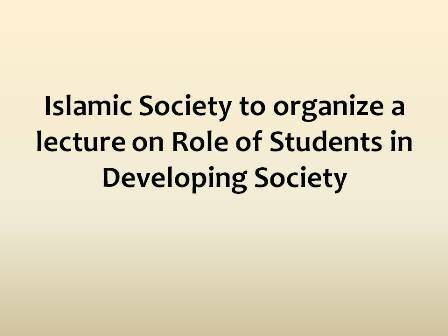 Islamic Society is organizing a lecture on Role of Students in Developing Society By Dr Abdul Basit from Punjab University. 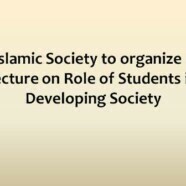 The lecture will be held on Monday 28 November 2016 from 01:00 pm to 02:00 pm in Room # 038, Business and Social Sciences Building. Please be a part of this event.